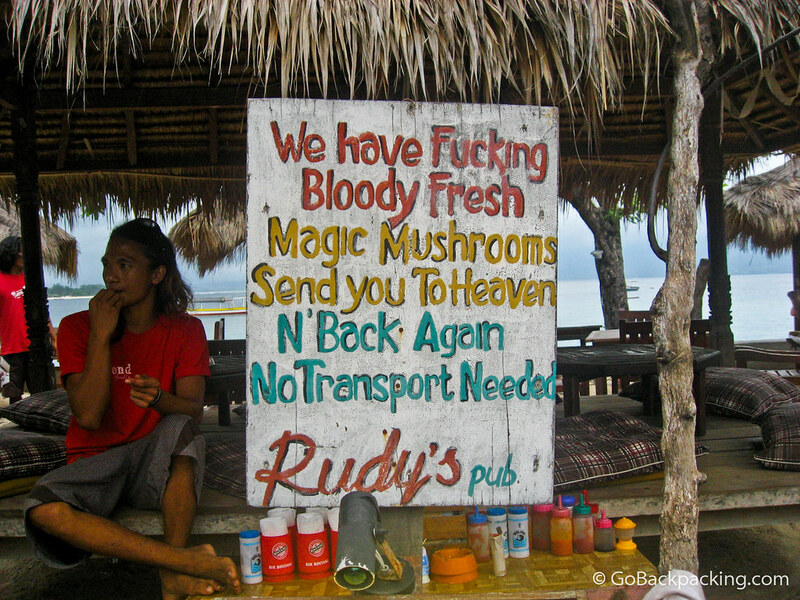 Magic mushroom advertising on Gili Trawangan, Indonesia. Gili Trawangan is my Indonesian island paradise for its small size, pretty turquoise waters, and relaxed vibe. If you need a little more inspiration during your time there, magic mushrooms are readily available, as you can tell from this sign at Rudy's Pub. I want that sign for my mantle.